As I often gush about, I'm a big fan of hardbound notebooks. In fact, I've grown to like them a bit too much. I now go through them so quickly that it's creating some workflow problems for me. Books I'd like to read. Movies I'd like to see. Places or things I'd like to photograph. High turnover: projects, tasks, and notes. This way, I can continue to crank through pages (and ultimately, books) with my day-to-day items without needing to recreate my collections on a monthly basis. Of course, not just any pair of notebooks will do. In the A5 size ballpark. Soft cover, so I can use the two books as inserts into a single permanent cover. I'm open to having a custom cover made to size for the right book. If there happens to be another hassle-free way to keep the two books together, I'm open to that as well. I don't think these are overly demanding requirements, but I've struck out twice so far. 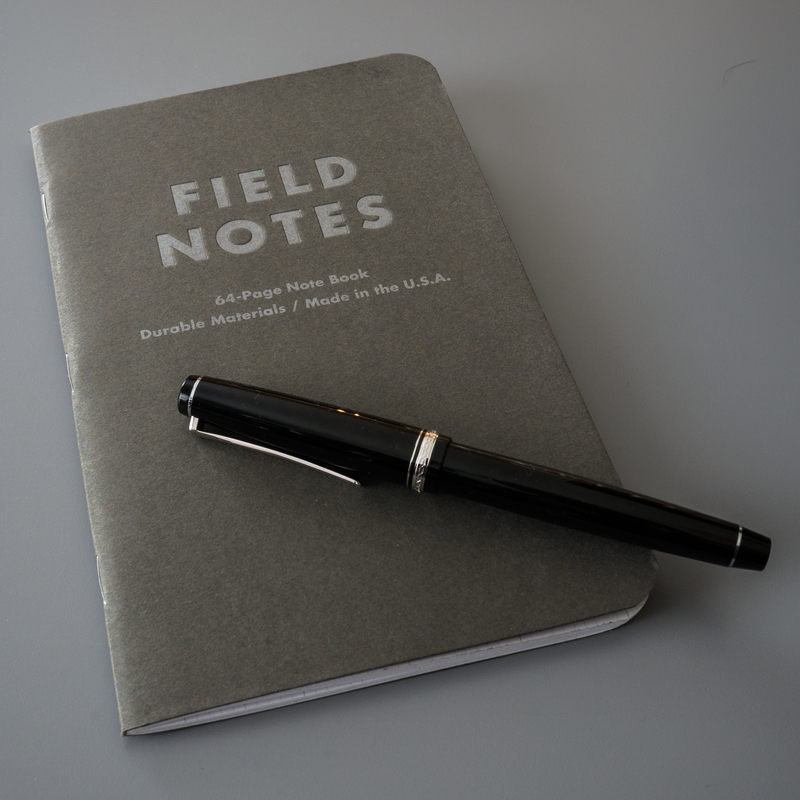 Like many people, I was very intrigued when the Field Notes folks introduced a larger book as their most recent Colors release. But once I drilled into the specs and spent a little hands on time with my wife's Arts and Sciences books, my excitement waned. I work around the "fountain pen challenged" paper in my pocket-sized Field Notes, because I value the design and other intangibles. But I'm not ready to go there for my primary notebook. I've tried the grid-in-a-grid (double grid? whatever...) style paper in the Sciences book in the past and found it distracting. I'm coming around to lined paper, as is found in the Arts book, but it's not ideal for my bullet journal. The wonky "one page is ruled, the next page isn't" approach in Arts and Sciences doesn't appeal to me at all. 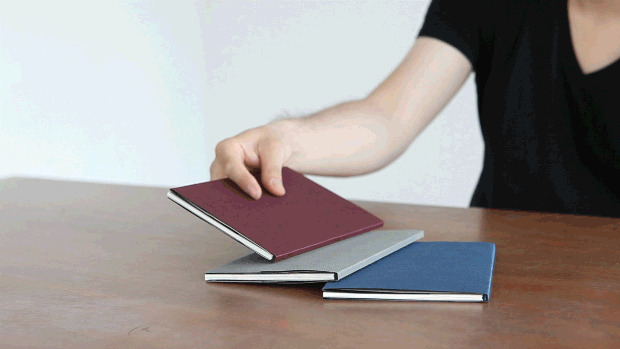 The design included a cool (if slightly gimmicky) magnet system for keeping multiple notebooks together. The size was exactly what I was looking for. They offered a regular grid paper option, which is my second choice if I can't have dots. The specs included fountain pen friendly 100gsm paper. Unfortunately, the creators ran into some execution challenges with the magnet design and ended up canceling the project, which already had over $33,000 pledged towards at $35,000 goal. 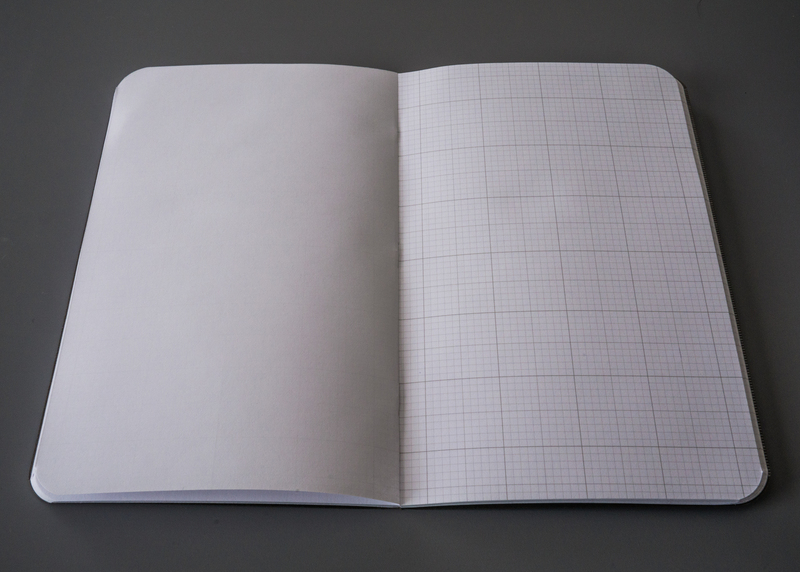 Following the Magnote setback, I steered back to my original search for a basic soft cover book with good paper. The Clairefontaine Life. 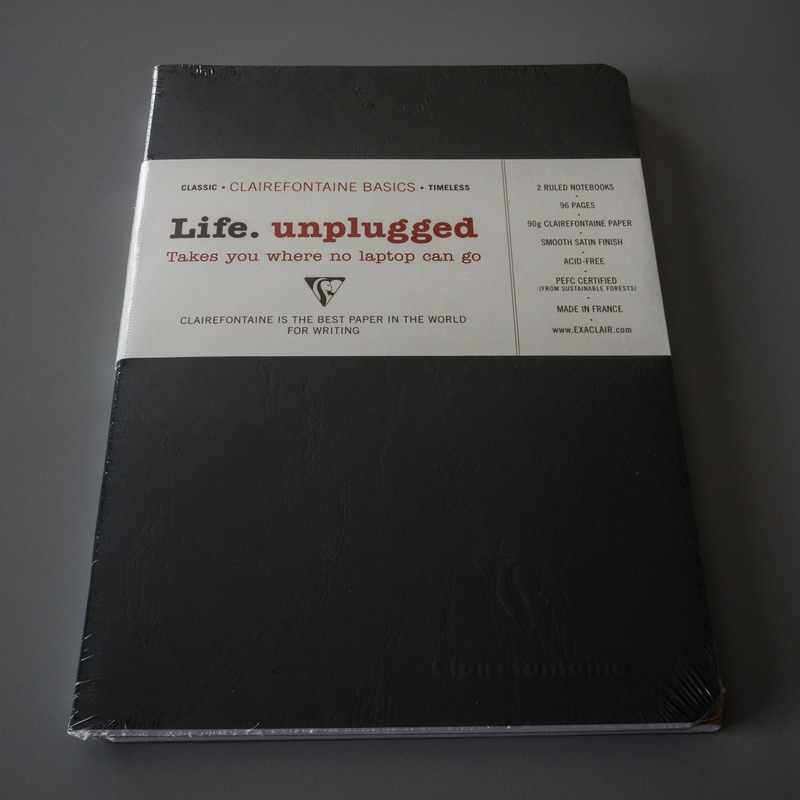 Unplugged Staplebound (5.875 x 8.25 inch size) looks promising. It's Clairefontaine, so quality paper is a given. The size is good. It's regularly stocked at The Goulet Pen Company, and the price is palatable. Unfortunately, it's only offered with lined ruling. But based on my unexpected success with the Clairefontaine Classic Wirebound notebooks, I'm keeping an open mind. As a side note, the Clairefontaine Life. Unplugged Staplebound is also the notebook I am including in my Waiting with Grace Hand Lettered Goods giveaway. If you haven't already entered, be sure to check it out. I plan to write a full review of the Staplebound Duo once I have a bit more "flight time" with it under my belt. However, I'm still looking for other notebooks in this category to try. 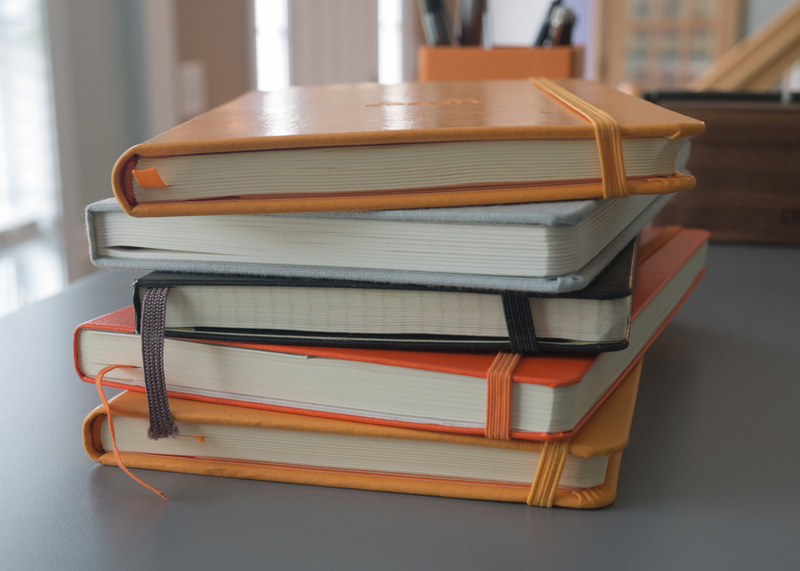 Do you have a favorite notebook that you think might fit the bill for me? If so, I'd love to hear about it in the comments below, by e-mail, on Twitter, or on Reddit.